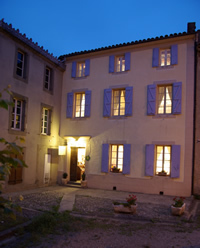 Our beautiful 18th century classical French home in Léran offers you Chambres d'Hôtes - Bed and Breakfast. There are 5 spacious bedrooms, each with their own special colours and views, all with queen-size beds and private bathroom facilities. Breakfast is, of course, included in our tariff. Dinner (tables d’hôtes) offers a chance for guests to sample local cuisine using seasonal products prepared with an Australian twist. 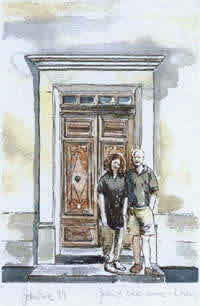 John and Lee-anne Furness left Australia in 1999 to open a B & B in France and in doing so fulfilled a dream. Coming to France they left behind rich and varied employment in teaching, career counselling, marketing, book editing, management, music, commercial cooking and catering. After completing the renovations to their new home in France, L’Impasse du Temple was opened in May 2000. 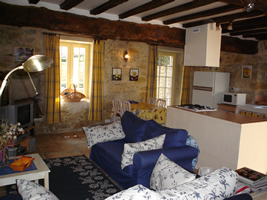 La Petite Ecurie is a delightful self-contained holiday home in what was once the stables (1758). This entirely renovated cottage, sleeping up to four people in 2 bedrooms, both with ensuite facilities, offers everything a holiday maker needs. We are close to - Carcassonne - Cathar castles - Spain and Andorra - Toulouse - Vineyards - Mediterranean beaches and the French and Spanish ski resorts of the Pyrenees.